Keyword ranking using real servers around the globe which deliver the most accurate location specific search results from Google. Our Google keyword rank checker finds both natural and map listings based on the geographic location of your choice. 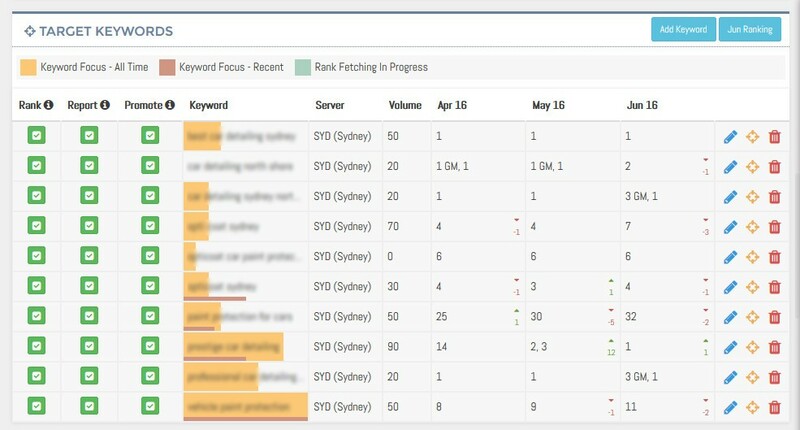 When a new keyword tracked for your domain you will have the option to assign a SERPs fetching server at the same time. We have fetching servers all over the globe that have been chosen because of their strong geographic signals. Once the keyword is entered for a domain, it is sent to your chosen server for ranking. The server will check the first 10 Google search result pages for your domain and return with the keyword position. This search is done in a similar way to that of a human to ensure that the results are almost identical to regular human searches. The SEOm rank checker also includes Google Map results. Map results have become an important element in a business' appearance in SERPs since they appear above the natural search results. Therefore, it's imperative to report on these local search result rankings - for clients, and to aid directing and enhancing local search optimisation.